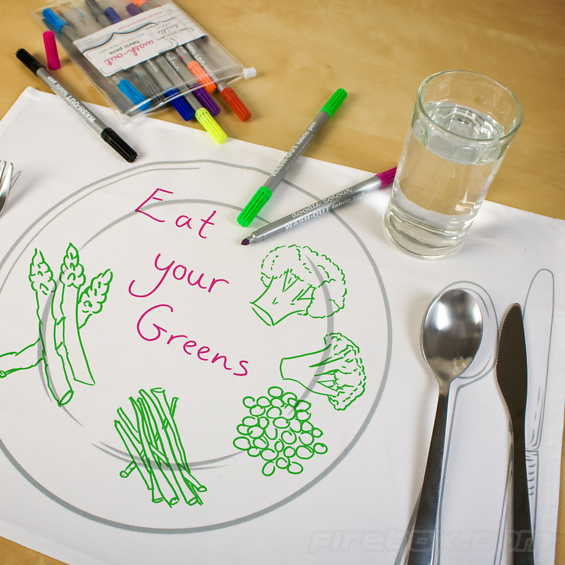 Doodle Placemats allow you to scribble on them while waiting for your dinner to arrive. They are made from 100% cotton and each pack comes with washable-ink markers allowing children to scribble on them to pass some time. Each pack contains 4 table mats and a set of pens that are safe to be used with the mats. To clean them, you just wash them at 40 degrees C and the markings will come right out. The downside I suppose is that the children (especially the youngsters) might not realise that special pens are needed and then proceed to put permanent markings on them. You choose 🙂 Available from Firebox for £19.99.